Not all students enrolled in cardiology programs become cardiologists. Cardiology is a branch of medicine that deals with heart disorders. These include congenital heart defect, heart failure, valvular heart disease, coronary artery disease and electrophysiology. Those who specialize in this branch of medicine are cardiologists. However, this field of medicine has a lot to offer than just eleven years of grueling study and more than a hundred thousand dollars in tuition – enough to give anyone an atrial flutter. O*NET OnLine in partnership with the American Job Center Network has developed a database for the US Department of Labor. This database provides occupational information and trends for different sectors and industries. According to its information, the demand for cardiologists is expected increase by 18% over the next few years. However this 18% pales in comparison if you look at the demand for Cardiology Technicians. O*NET OnLine puts the demand for these professionals at around 22% or higher. The Bureau of Labor Statistics (BLS) gets specific and states that the employment prospects for these professionals will increase by 39% between the years 2012 till 2022. According to a recent poll, a graduate’s biggest fear is not getting a job or being stuck in a field that has no potential. With a degree in cardiology, cardiology technicians have little to worry about when it comes to demand. To get things started, here is what you need to know about cardiology technicians. Cardiology technicians need extra training to specialize in any of the above areas. Students are recommended to check the curriculum before they enroll. Prospective students are advised to check the accreditation of both the school and the program before enrollment. The program needs to be accredited by the Joint Review Committee on Education in Cardiovascular Technology (JRC-CVT), and also by the Commission on Accreditation of Allied Health Education Programs (CAAHEP). Students can check the accredited programs and schools by checking the database at the CAAHEP. Once the students have graduated, they need to complete an internship in a medical setting. Interns get to work under the supervision of an experienced cardiology technician. This opportunity allows them to apply what they’ve learned in the classroom in clinical settings. An internship from a respectable organization not only allows students to learn but also looks good on the resume. Students need to be certified in order to work as a cardiology technician. Cardiology Credentialing International (CCI) and the American Registry of Diagnostic Medical Sonography (ARDMS) are two agencies that offer credentials to cardiology technicians. The agencies only allow those students to sit for the exam who’ve graduated from an accredited school and program. These certifications need to be maintained by the applicants throughout their professional careers. Cardiac Sonography or Echocardiography is a specialization in cardiovascular technology. Through echocardiography, images of the heart can be obtained. This is one of the most common methods of diagnosing heart diseases. It helps in detecting abnormalities in the heart wall. Students interested in this non invasive cardiovascular technology can look into a Bachelor of Science in Cardiovascular Sonography (B.S. – CVS). This is a four year degree that instructs students on how to perform adult echocardiography. The program also deals with vascular ultrasound and physiological studies. As far accreditation is concerned, same rules apply. Students must check the accreditation of both the school and program before enrollment. Students are also advised to check the curriculum as well. What makes a Good Cardiology Technician? 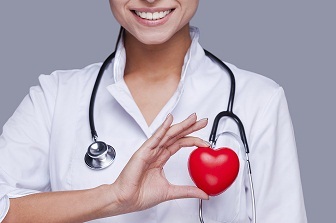 There are quite a few factors that go into the making of a good cardiology technician. Some factors are quite well known which include hard work, attention to detail, and a good positive attitude. However, there are some other factors that require attention and turn out to be the difference between a good and mediocre cardiology technician. According to BLS, cardiology technicians earned a median annual salary of $52,070 in May 2012. The demand for these professionals has already been mentioned and is quite impressive. States with the highest employment opportunities for these professionals are Texas followed by Florida, California, Pennsylvania and New York. The top paying state for these professionals is Alaska. The last frontier is followed by District of Columbia, New Jersey, Massachusetts and then Washington. Becoming a cardiology technician requires diligence. Once accomplished, this is one part of the healthcare system that can offer quite a few opportunities for the right professional. Q:What can I work as after I finish my cardiology technologist program? A:Once you get your cardiology technologist degree, there are several capacities you can work in, in various professional settings. You could work in hospitals, private clinics, private laboratories, cardiac diagnostic equipment companies as sales agents or technical support agents and in pharmaceutical companies. Most healthcare facilities will provide you will ample opportunities. Q:How to become a pediatric cardiologist? A:Upon completion of your bachelor's or master's degree in any science-related field, all applicants are required to pass the Medical College Admissions Test (MCAT) to be accepted into medical school. Medical school will typically take around 4 years, followed by a 2 to 3 year residency and then a 2 to 3 year fellowship in pediatric cardiology. After that, consider your state specific licensure requirements. Q:What is an interventional cardiologist? A:Interventional cardiologists are professionals who perform different types of non-surgical procedures for treating cardiovascular diseases. The make use of medical equipment called catheters, which are thin, flexible tubes, to get inside blood vessels for diagnostic tests. They also perform this function to repair damaged vessels or other heart structures. This can often help in avoiding the need for surgery. Q:What cardiology courses will make me a cardiologist? A:You must first have a bachelor's degree in order to get into medical school. This could be in any major such as chemistry, mathematics, psychology or engineering. Following this, you will need to give the MCAT and then four years of medical school, and then a subsequent certification exam under the American Board of Internal Medicine. Q:Are there any cardiology programs I won't need licensure after? A:After you are done with your cardiology education, you will need to get licensed, no matter what state or territory you are in. You will be required to pass a test administered by the United States Medical Licensing Examination (USMLE). This will test your medical and scientific knowledge. The American Board of Internal Medicine offers certification in three areas for cardiologists: heart failure and transplants, cardiovascular disease and interventional cardiology. Q:What subjects will I study in cardiac Sonography programs? A:The curriculum will vary from program to program. However, here are some subjects most likely to be covered in cardiac sonography programs: echo principles and technology, adult echo scans, ultrasound physics, adult echo advanced studies, clinical application, patient care, cardiovascular anatomy, advanced Doppler and instrumentation, cardiac physiology, cardiac assessment, and more. Q:What with the classes in a cardiology degree cover? A:If you enroll in a cardiology degree, you will stud a wide range of subjects in classes. The program will focus on theoretical learning and practical learning. You will cover topics such as: echocardiograph, patient care, pharmacology, ultrasound technology, cardiovascular system, hemodynamic, respiratory physiology, and more. The curriculum may vary a little from college to college. Q:How will I study in a cardiologist degree online? A:The online program will enable you to study from any location at any time. You will be required to complete the coursework through online lectures, tutorials, conferencing, and videos. Some colleges also have their own learning software programs that students must download. Please remember that in some online programs, the practical parts of the program are covered on-campus. Q:What are the benefits of a cardiology online degree? A:Online programs have gained much popularity in recent years. Students are enrolling in online programs for the many benefits that come with it. For example, students don't worry about extra costs related to travelling or text books. A computer and an internet connection is all you need to study online. Apart from that, online learning is flexible, convenient, and can suit the busy schedules or working individuals. Q:What courses are taught in cardiac sonography certificate programs? A:The curriculum of a certificate program in cardiac sonography places a great emphasis on working with professionals in the field. Various topics are covered in this program, ranging from stress testing, echocardiography, cardiac physiology, patient assessments, heart disease and abnormal heart functions. Students may also be exposed to the usage of equipment related to the cardiac sonography procedure.